Love it or hate it, Halo is one of the most popular, longest lived franchises on Xbox. If you are in the “love it” category, I want you to do me a quick favor. Ask yourself this question – What are your three favorite Halo games? Take a second to think about it. Was Halo 3: ODST on the list? I honestly don’t expect it to be on many, and personally, I consider that to be a shame. ODST is without a doubt one of the best games in the Halo series. Growing up, I didn’t have internet at home. I had to wait until I went to my mom’s house to be able to play games online. Needless to say, I played a lot of single player games. I wish I had a dollar for every complete playthrough I made of each of the Halo campaigns. 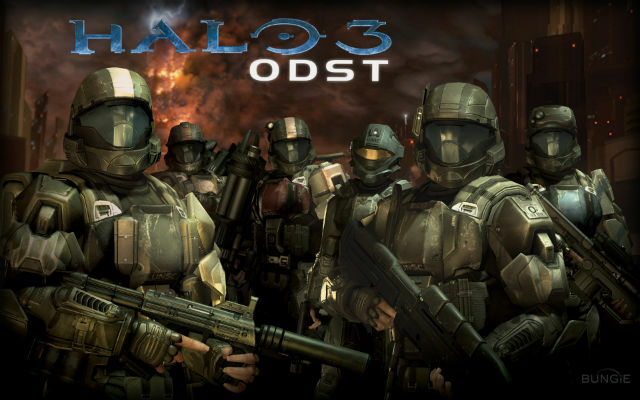 But through all those hours and playthroughs, the game that truly stands out to me is ODST. In the middle of this huge, impossibly fantastic, galaxy spanning franchise was this small scale, single-city spanning, surprisingly believable game. It felt grounded. I wasn’t some heavily armored, genetically enhanced, high-jumping super soldier fighting to save the entire human race. 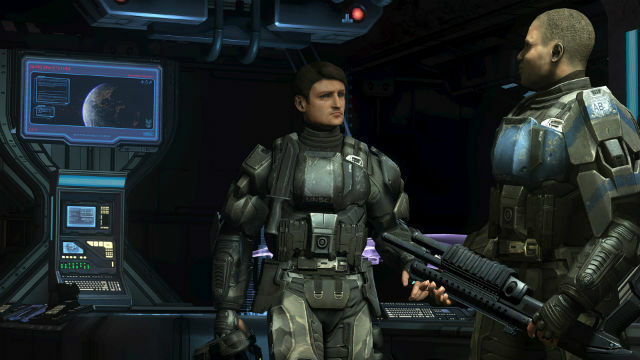 I was an ODST, a simple Marine, fighting for his team. To stay alive. Playing as a normal human added a new experience to the Halo franchise. You were no longer a near robotic, emotionless super soldier. You were as you are now – human. With emotions and relationships other than what the military bred into you. Throughout the campaign you play as several different Marines. There’s the team’s leader, named Gunnery Sergeant Buck; the sniper, Romeo; the explosives expert, Mickey; and Dutch, the heavy weapons specialist. Then there’s the mysterious Rookie that you play as for most of the game. In addition to the playable characters, there is Captain Veronica Dare, a member of the Office of Naval Intelligence, an agency similar to the U.S. CIA, who seems to be hiding something from the rest of the team. You see more personality out of them in this one game than you would have in the Master Chief in the three main games up to that point. Their dialogue and banter back and forth is one of the best aspects of the game. You have Buck and Romeo, as they put it, busting each other’s balls. You get a peek into the past between Buck and Dare. You see that, even 500-plus years into the future, in a galaxy spanning civilization that is fighting – and losing to – aliens, religion is still a thing with Dutch’s prayers and “paraphrased” Bible verses. You see that Mickey is the typical Marine. He wants to blow stuff up, but doesn’t really feel like doing anything else. With everything going on, you can tell that each of them cares for the others, and would do anything, even die, for their teammates. All I really knew about the Chief after three full games was that he never gave up, his name was John, and he had an unhealthy attachment to an AI. Playing as an ODST instead of a Spartan came with its own set of challenges as well. You couldn’t just jump clear over an enemy to spin round and punch him in the back of the head, before throwing a grenade 200 yards to stick to another. You couldn’t pick up two SMGs and light up a group of Grunts. You didn’t have regenerating shields or health. You were very vulnerable, you had limits, and you had to adjust your normal Halo style to compensate. There was an added sense of danger because of this. While searching the city for my team as the Rookie, I usually found it more beneficial to try to sneak around any enemies, especially if there was an Engineer or Hunters around, rather than try to fight them. As Master Chief, I would’ve gone in guns blazing, but as an ODST, I felt like I had to play more cautiously in order to survive. Being stealthy was a welcome element that wasn’t really present in the other games. Now, let’s talk multiplayer. Instead of having the traditional Halo multiplayer, the original 360 game came with a separate disk that had the full Halo 3 multiplayer experience, complete with all of the DLC. While it didn’t have its own PvP multiplayer, what ODST did have was the introduction of one of my personal favorite game modes – Firefight. Variations of this game mode have made their way into Halo: Reach and Halo 5: Guardians. As I said before, I didn’t have internet at home. So, for me, Firefight added hours of gameplay. I could sit down and see how many kills or how high a score I could get, then try to beat it. And when I was able to get online, I still loved teaming up with friends and working together to see how far we could get. And of course who could get the highest score. I know not everyone cares about the story in a game, and a lot of people out there play Halo only for the online multiplayer; that’s 100% ok. But, for those of you who do like a good single player experience, if you somehow haven’t already (it’s been out since 2009 for crying out loud), give it a chance. If you have played it, try it again, this time giving some mind to the finer details. But that is my story and why I think ODST is up there with the very best Halo games. What do you think? Let us know how your time with it has been by posting in the comments below.